Very early cabins in Virginia are said to have had no chimneys or fireplaces. The fire burned on the dirt floor and the smoke escaped through a hole in the roof as it did from an Indian teepee. 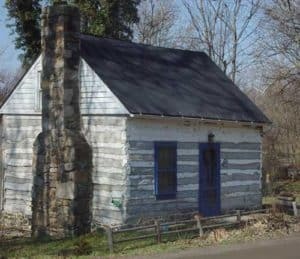 This was rough living, and it wasn't long before cabins were built with fireplaces outside their walls. These are the cabins that survive today. A "cradle" was built, if the floor were wood, to contain the hearth. It was lined with stones imbedded in "mud" and a hearth of flat stones was added. Some of these fireplaces were made large enough to handle a four to six foot backlog for burning. Early chimneys were often made of small logs heavily plastered with mud - but this was very risky, so they were set six inches to a foot away from the log buildings. In Indian country during the early years windows were dangerous and few cabins had them. Because glass windows were an absolute luxury, heavy sliding shutters were used, instead, for winter weather. The spaces between the logs were chinked in early cabins with mud, moss, and, sometimes, animal hair, mixed together. Upon completion, there was a housewarming, attended by those who helped erect the building, their families, and all the neighbors. A fiddler scraped jigs and reels late into the night, and a good time was had by all. There are several old log houses in Waterford, built in the 18th and 19th centuries. The little house next to the Old Mill was moved into the town about 1870 and its age is unknown. 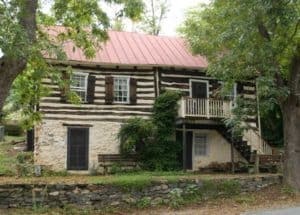 The log house on the big hill was built in the early 1800's and served as a tavern during the Civil War. 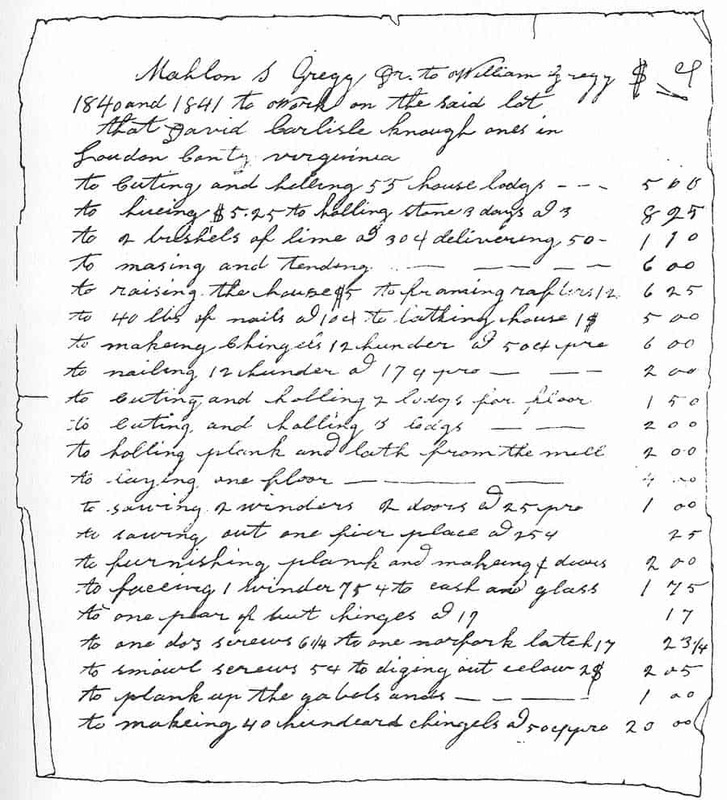 The inventory on the right for the construction of a log house in 1840 was contributed to the Waterford Foundation's photograph collection by Mr. J. T. Hirst. It includes such "sophisticated" luxuries as windows, nails, screws, hinges, and lime; but. 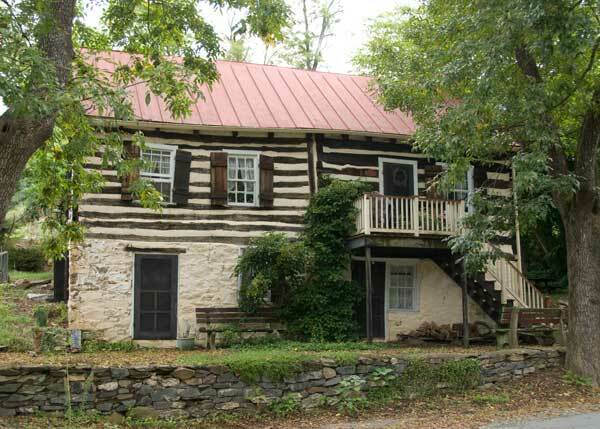 it is still a nostalgic and interesting bit of old Loudoun County. 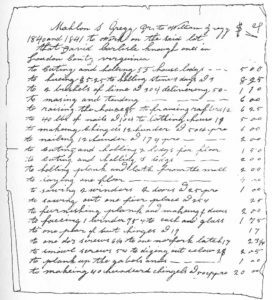 Note: The total construction costs for the 1840 log house came to seventy-six dollars and fifty-five cents.